Wizards down 18 early, comeback to beat Knicks 99-89. The Knicks led by 18 midway through the second quarter and things looked bleak. 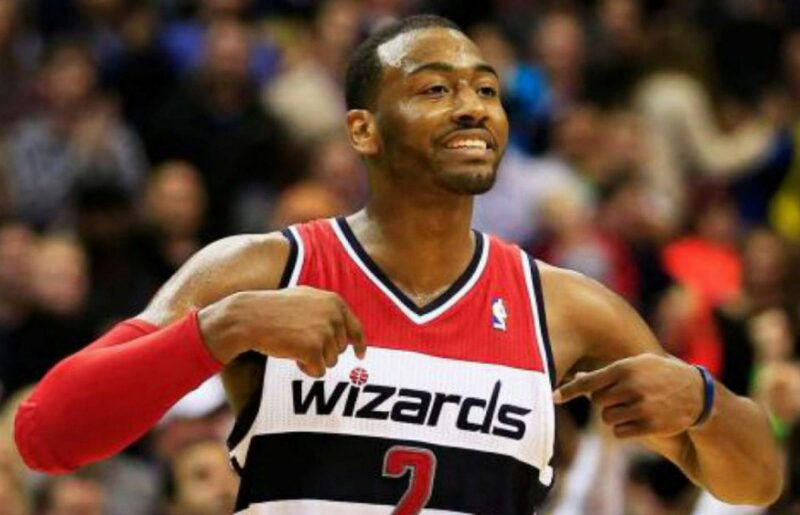 But the Wizards used a huge third quarter outscoring the Knicks 33-13 to take the lead and beat the Knicks 99-89. All five Wizards starters scored in double figures led by John Wall with 24 points and Markieff Morris with 17. The win is the Wizards’ fourth straight and keeps them 1.5 games out of the final playoff spot. The Wizards started a cold 2-8 from the field which allowed the Knicks to take an early 12-4 lead. Otto Porter was ice cold missing his first five shots of the game. Melo had his way early doing his damage first against Garrett Temple and then against Otto Porter. The Knicks stretched the lead to 17, 45-28 on a jumper from Melo and it looked like the Wizards would be in trouble. The Wizards were able to slice into that lead and trail by just 10, 53-43 at halftime. The Wizards started the quarter on a 9-0 run to cut the lead to one highlighted by this pass from Wall to Morris for the alley-oop dunk. Gortat did most of his damage in the third quarter scoring 11 of his 15 points as the Wizards would outscore the Knicks 33-13 in the period and retake the lead 76-66. The Knicks got within four on two straight threes from Kristaps Porzingus but wouldn’t get any closer. Wizards win 99-89. Marfieff Morris shuts down Carmelo Anthony: Melo had his way in the first half when Temple and Porter were guarding him. In the second half? Not so much. Melo did score 20 points tonight but it took him 21 shots. Morris was all over Melo and was very physical with him. Melo was unable to get past Morris and would often have to settle for jumpers. Overall, it was a great job defensively. Wizards limit turnovers: The Wizards committed just 10 turnovers tonight and most importantly, John Wall had just one. Wall wasn’t as loose with the ball as he’s been in prior games and didn’t really force anything. Crazy what happens when you cut your turnovers in half right?